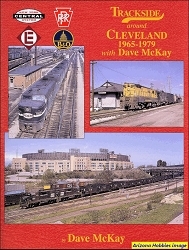 This seventh Volume in the Trackside series takes us to Albany, New York, during the quarter century when steam had just departed and the first-generation of diesels ruled the rails. 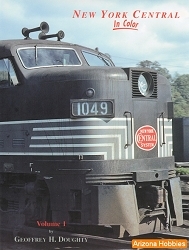 Join photographer Gerrit Bruins as he records the action on the Delaware & Hudson, New York Central, Boston & Maine, and Rutland Railroad in vivid color during this period of transition. 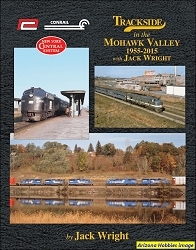 New York Central photographs make up about two-thirds of this book. 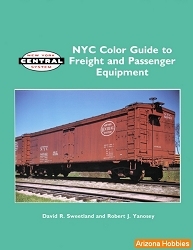 A good balance between NYC steam and diesel with more passenger trains than freight trains. The D&H makes up almost the rest of the book followed by 2 pages of Boston & Maine and 2 pages of Rutland.